Celebrating the first 10 years of Marvel Studios movies from Iron Man to Ant-Man and the Wasp. November 20, 2018 sees the hotly anticipated release of Titan’s Marvel Studios: The First Ten Years – a fantastic behind-the-scenes hardcover collectors edition celebrating the first 10 years of Marvel Studios movies from Iron Man to Ant-Man and the Wasp. Featuring stunning photography and in-depth sections on each film, including a guide to each movie’s Easter Eggs and end-credits scenes, Marvel Studios: The First Ten Years looks back over the rich history behind the Marvel Cinematic Universe. Also features interviews with stars Robert Downey Jr. (Iron Man), Chris Evans (Captain America), Scarlett Johansson (Black Widow), Chadwick Boseman (Black Panther), Chris Hemsworth (Thor), Chris Pratt (Star-Lord) and more, plus Marvel Studios President Kevin Feige and Co-President Louis D’Esposito. This Week’s New Releases: Grimm Fairy Tales: Vol. 2 and Van Helsing vs. The Mummy of Amun-Ra! 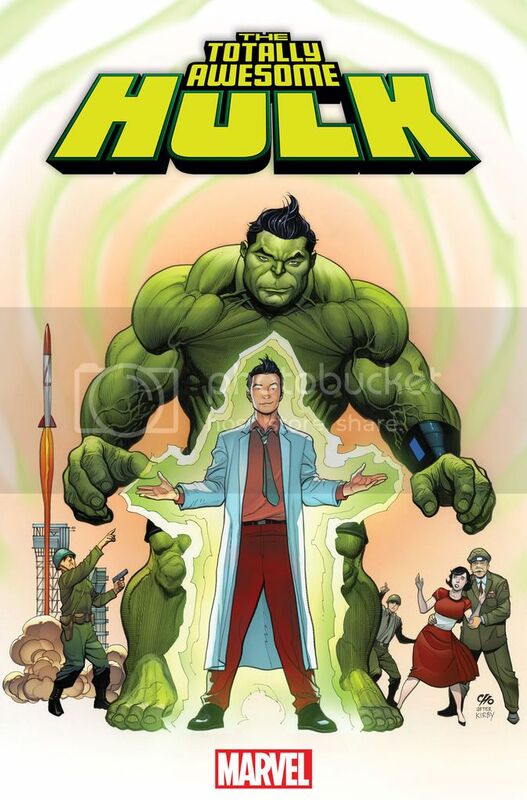 Meet the ‘Totally Awesome Hulk’ Marvel’s First Korean-American Hulk! Juan Mario Farrugia, September 30, 2015 November 8, 2015 , News, Meet the 'Totally Awesome Hulk' Marvel's First Korean-American Hulk!